Welcome to The Mariner on Nye Beach, located in the heart of Newport! This two story home offers two bedrooms and two and a half bathrooms, making this vacation rental perfect for up to four guests! 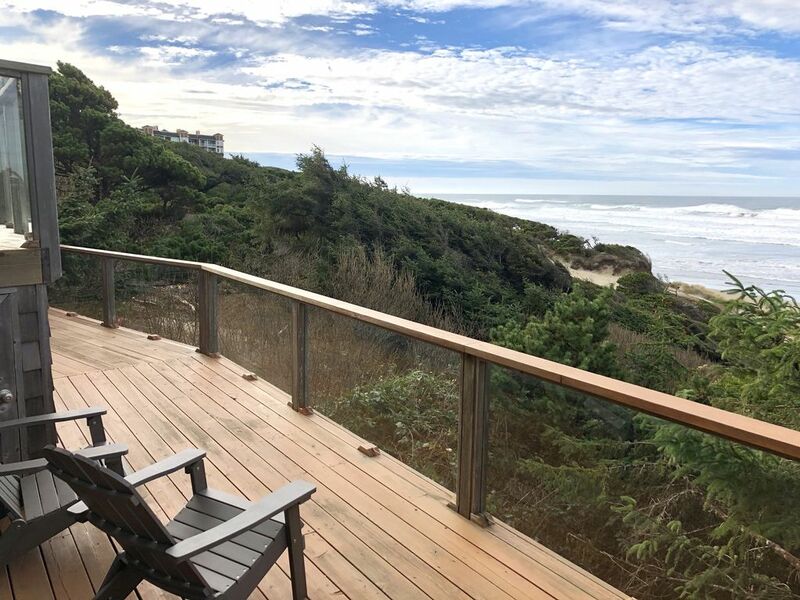 You'll have an amazing ocean view from the back deck of this rental, where you'll be able to catch a summer sunset or watch a winter storm roll through. 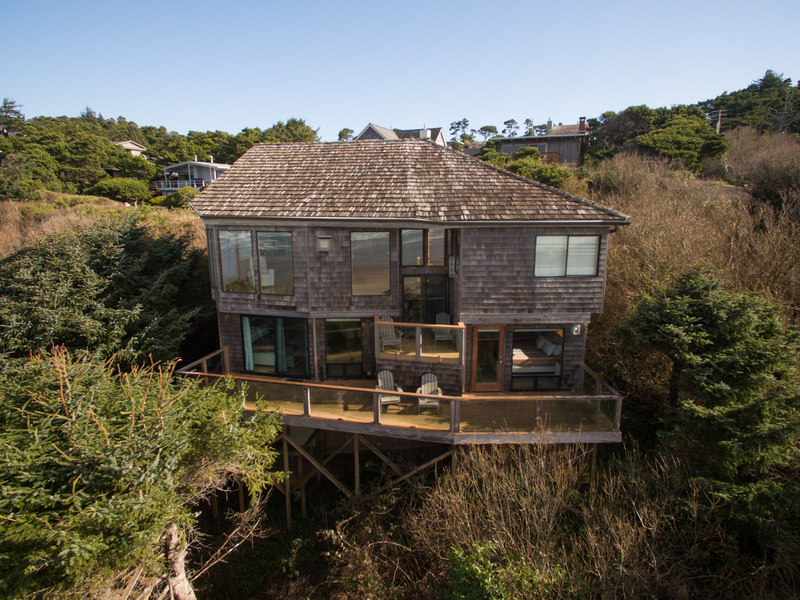 Step inside and you'll notice the large bay windows looking out on the Pacific! You'll get plenty of natural light when staying here during the summer months and amazing views year round of the blue water. 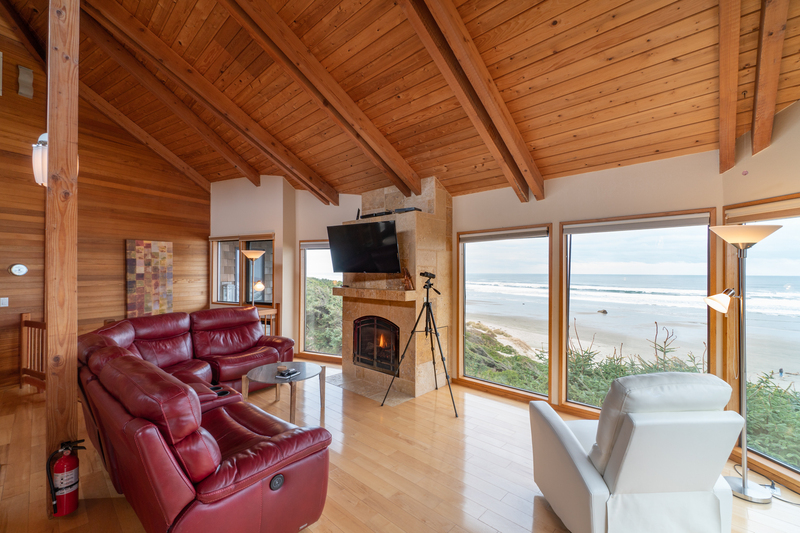 The living room comes with a fireplace to help keep you and your guests warm on those colder coastal nights. A TV is mounted over the fireplace for your enjoyment. Watch a movie with the family or just lounge around on the sofa. 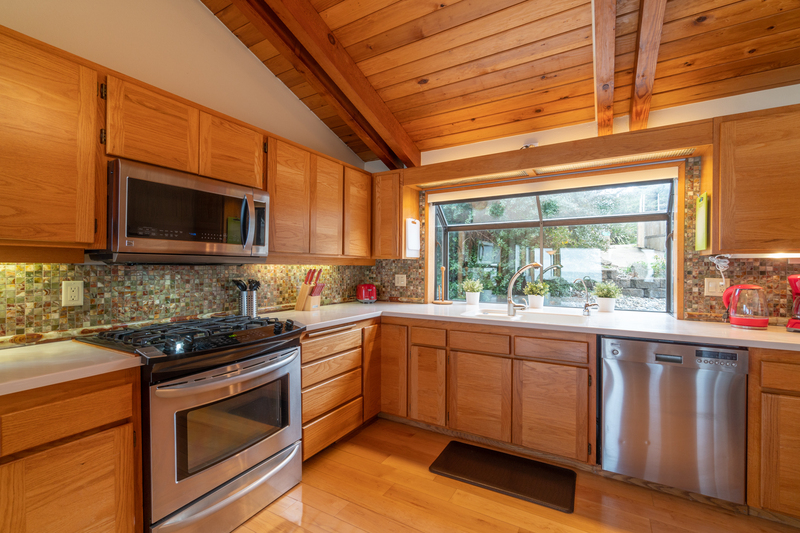 Step into the kitchen and you'll find everything you need to whip up a homemade meal, along with new appliances and a beautiful layout and design. The dining room table is right next to the kitchen for your convenience and has just the right amount of chairs for everyone in your party. 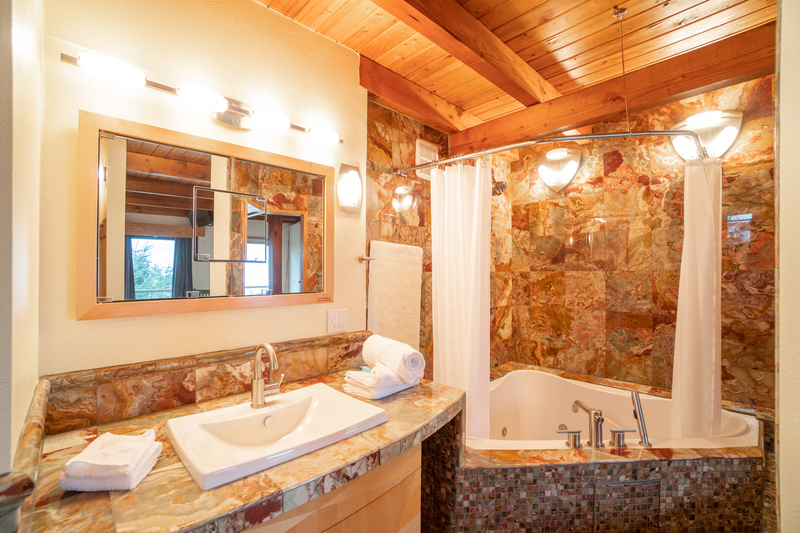 The master suite offers an amazing bathroom, complete with a jacuzzi bathtub in a beautiful stone setting. The guest bedroom is also an en suite, making your stay here even more pleasant! Both bedrooms come with their own king size beds, making them extra large and comfy! Bring the family or stay with another couple for the weekend! 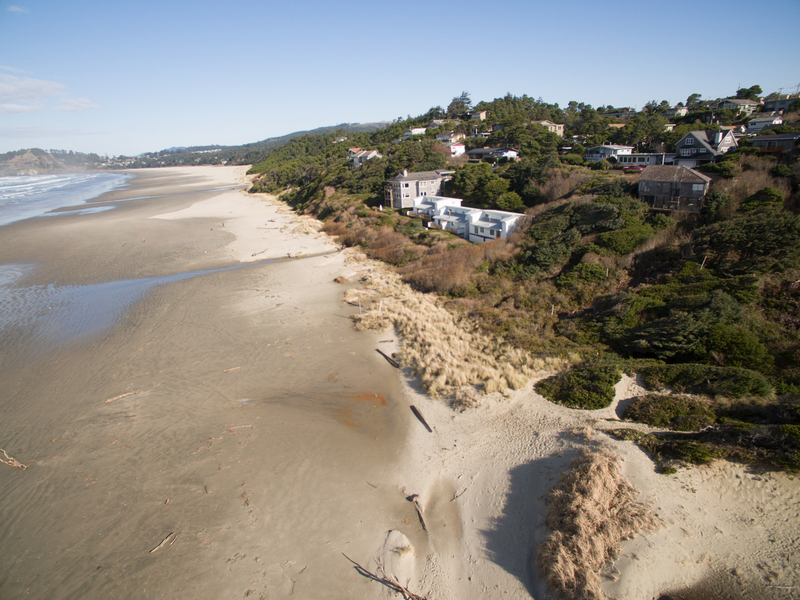 Either way, you're sure to love The Mariner on Nye Beach! 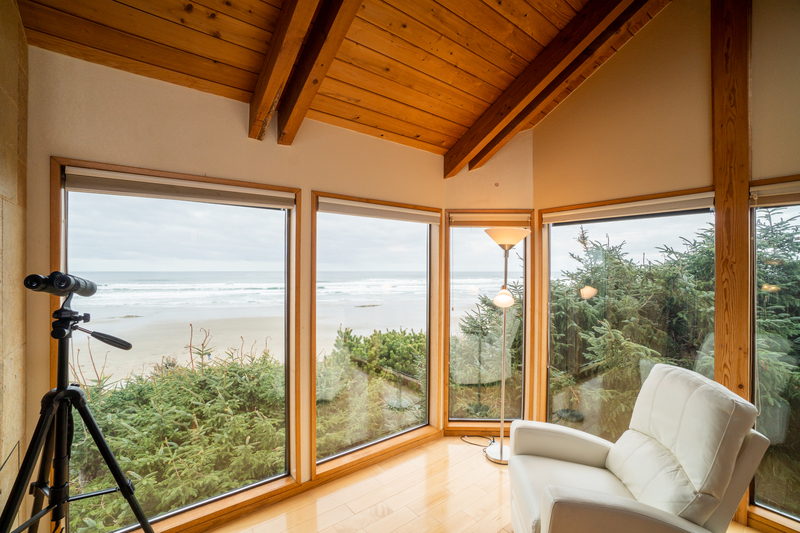 Book your stay today with Oregon Beach Vacations! "We enjoyed a beautiful weekend with friends in this lovely home. The view of the ocean was magnificent and the weather was fabulous! " "Hello Frank, Thank you for your review. We are glad to hear that you enjoyed your stay at The Mariner on Nye Beach. We are happy that you were able to spend time with your friends and enjoy the beautiful ocean view! We hope to have all of you stay with us again in the future!" "This is a beautiful home with an amazing view. It was very clean and beds and furniture were comfortable. 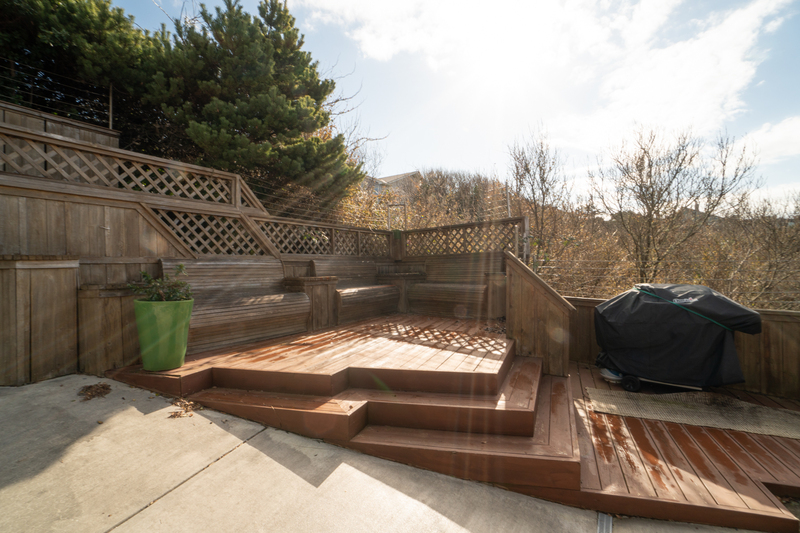 The deck is wonderful for sipping morning coffee or in the evening watching the sunset. Private access to the beach was great and well maintained. We really enjoyed our stay. There were just a few things that need attention. Some of the living room blinds did not work properly. This was an issue when the sun was coming in and we wanted to lower the blinds. Then when we managed to lower some of them, they would not go back up. Blinds in the smaller bedroom did not work, either. The other issue was the skylight windows above the living room. It looked as if they operated by a remote, but there was no remote and so no way to close them. It would have been nice to close them when the morning sun was streaming into the living area as it was very difficult to see. Overall, a fantastic property with a terrific view. Fix the issues with the blinds and this place would be perfect." "Hello Suzanne, Thank you for your review. We are glad to hear that you had a wonderful trip to The Mariner on Nye Beach. 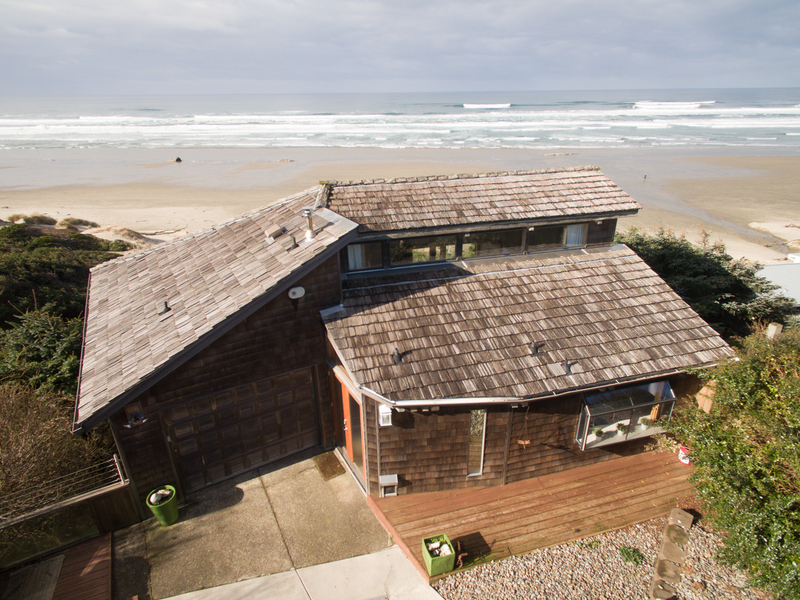 It sounds like this home had everything you were looking for on your Oregon coast vacation. We are sorry to hear that the blinds were not working properly during your stay. We would have happily sent maintenance to the home while you were there to see if this could have been resolved during your trip. We have made a work order to have this looked into for future guests. Thank you for bringing it to our attention. We hope to have you stay with us again soon! Thank you again for your review." "We were celebrating our 34th wedding anniversary, and this was the prefect place. 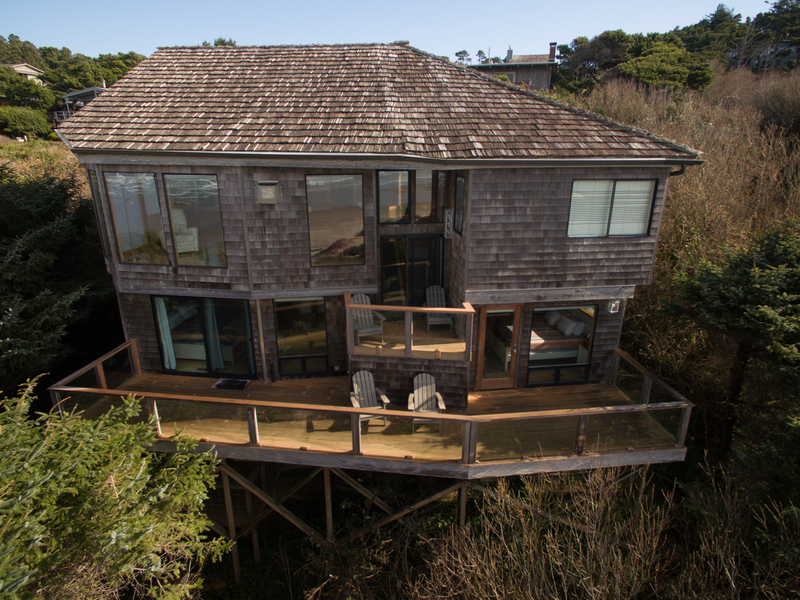 The house is amazing, great beach access and its a very short walk to Nye beach and all the shops. We will be back every year." "Hello Barbara, Thank you for your review. We are glad to see that you enjoyed your trip to The Mariner on Nye Beach. Congratulations on your 34th wedding anniversary, and we look forward to seeing you in the future!" 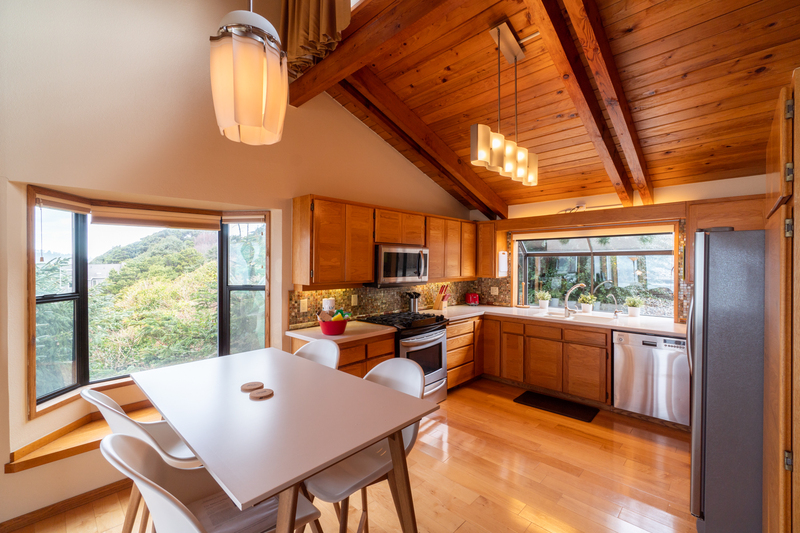 "Floor to ceiling windows - two decks, beach access, comfortable furniture, two fireplaces, well equipped kitchen, gas grill and excellent location. We could not have asked for a better experience - we did not want to leave. The sunshine helped and you could see the stars at night from both bedrooms. Pet friendly. Great rental and excellent property manager. We had a minor issue and they were on-site w/in an hour.Loved Clearwater Restaurant, Local Ocean Seafoods and watching the sea lions fight for dock space in the harbor. You can see Yaquina Lighthouse from the beach. Close to 4 grocery stores. Cute shops in Nye Beach and Newport. We will definitely go back to this property." "Hello Mary, Thank you for your review. 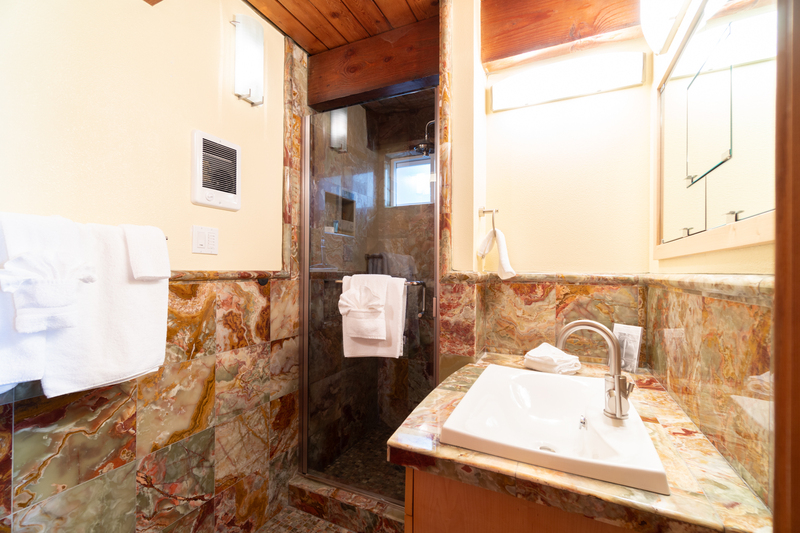 We are glad to hear that you enjoyed your stay at The Mariner at Nye Beach. 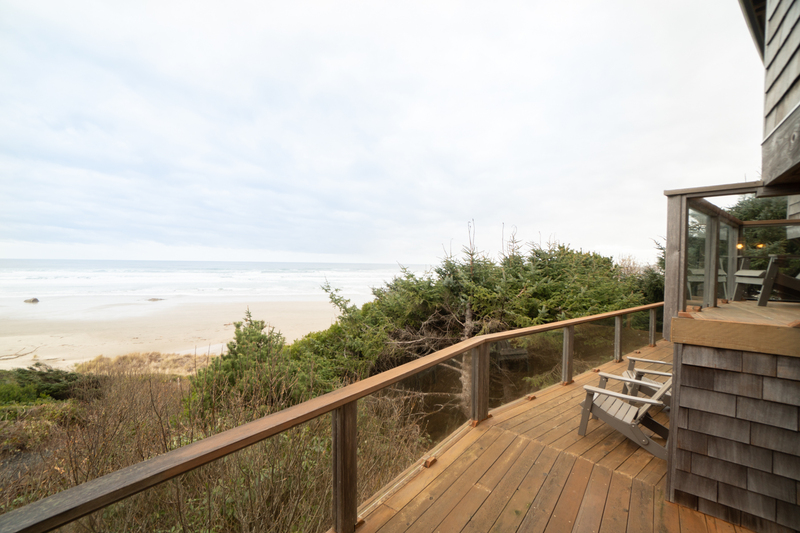 It sounds like this rental has everything you could possibly need to enjoy your stay on the Oregon coast. We look forward to having you stay with us again!" "My husband and I spent Thanksgiving with our daughter, her beau, and their fur babies, at the Mariner on Nye beach. What a wonderful, well appointed place! The beds were comfortable, as was the furniture. We really couldn’t have asked for anything better. Beach access was good, and the view was spectacular! We plan to go back. This is our favorite rental experience to date!" "Hello Kimberly, Thank you for your review. We are glad to hear that you enjoyed your stay at The Mariner on Nye Beach. We are happy that your entire family enjoyed the home and the views of this rental. We look forward to having you stay with us again in the near future!" "This home was spectular. Everything worked perfectly and was ultra modern. 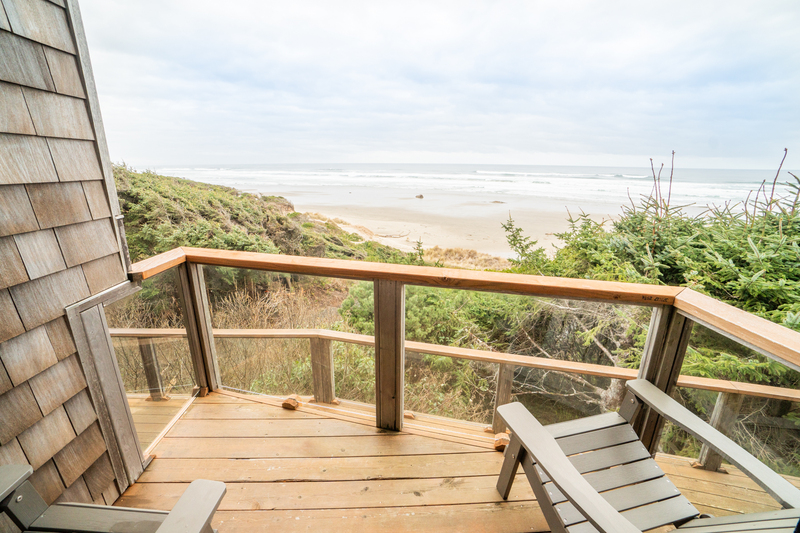 The views are among the best on the Oregon coast and 180 degreees unobstructed. You have your own locked private stairs to the beach with hardly anybody there cause its away from public access. The finish work in home superb and up to date. Everything from TVs to appliances worked perfect. EX!!!" "Hello James, Thank you for your review. 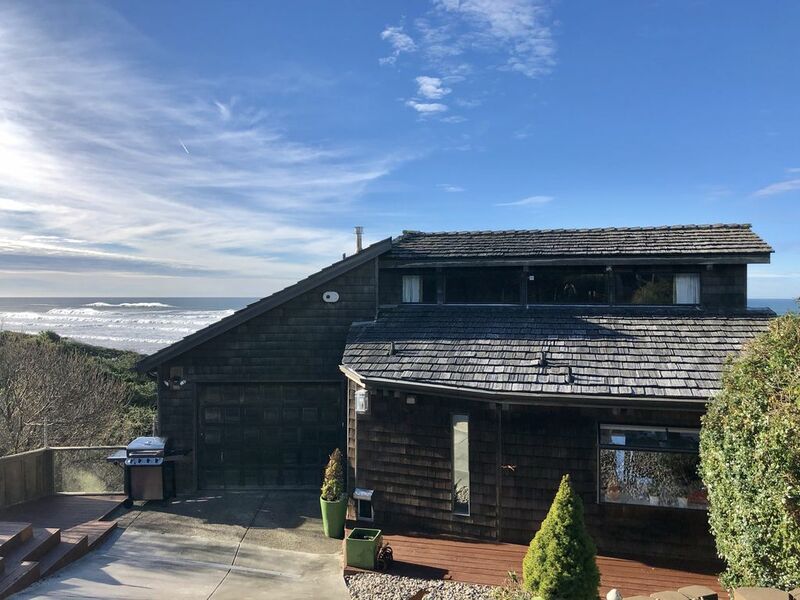 We are so happy to know that you loved your stay at The Mariner on Nye Beach and enjoyed beautiful views from the home and were able to enjoy private beach access. We hope this means that you'll be back again soon to stay with us! Thank you again for your review!" "This place was great! Awesome views and very easy access to the beach. The house was very clean and comfortable. It was so nice that it was pet friendly as well. Would definetly come back! " "Hello Shannon, Thank you for your review. We are glad to hear that you enjoyed your stay at The Mariner on Nye Beach! 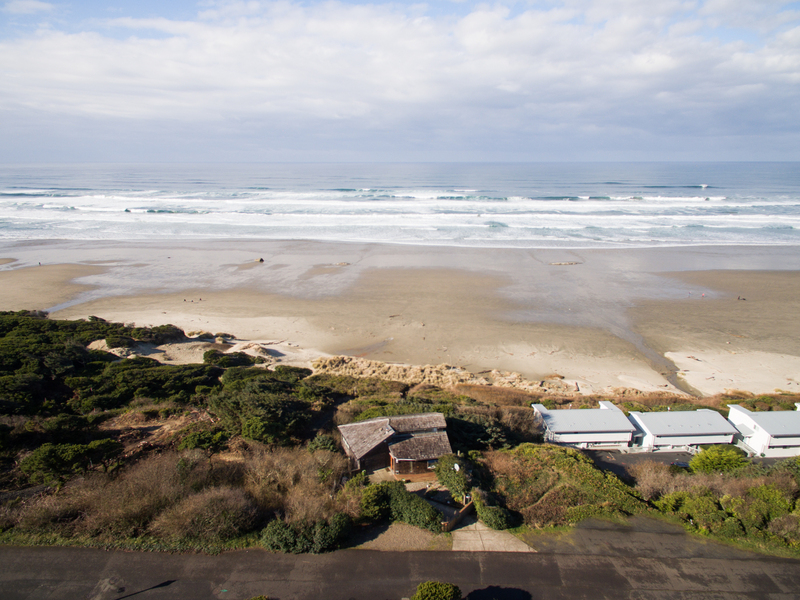 We can't wait to see you back again soon on the Oregon coast for another wonderful getaway! Thank you again for your review." "Hello Shaunett, Thank you for your review. 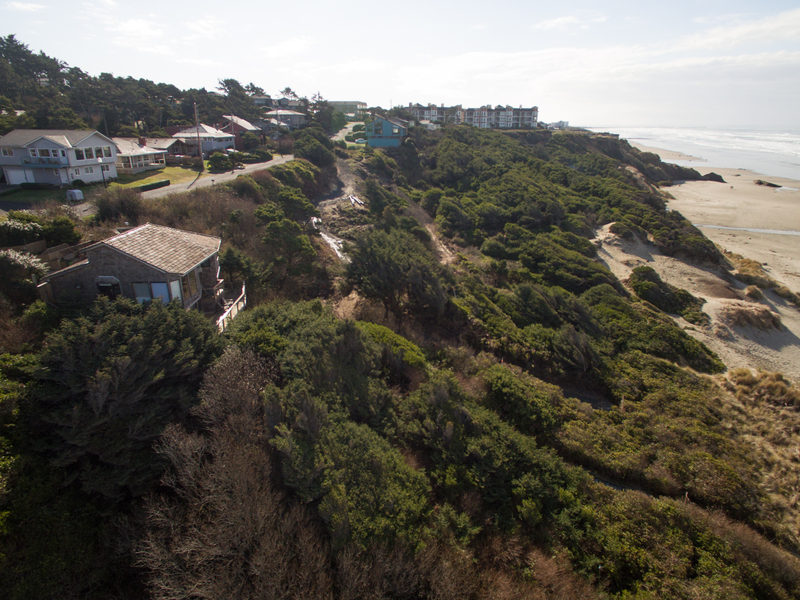 We are so glad to hear that you enjoyed your stay at The Mariner on Nye Beach! We are also glad to know that you had no trouble finding the home and were able to enjoy everything it offered! As for the dish towels, we always provided two towels in each of our homes during a stay, but we would have gladly brought out more for you had we been made aware that you needed them! Please call our office next time if you ever have any questions or need extra linens. We will put in a work order for more dog towels for the home. Thank you for bringing this to our attention. 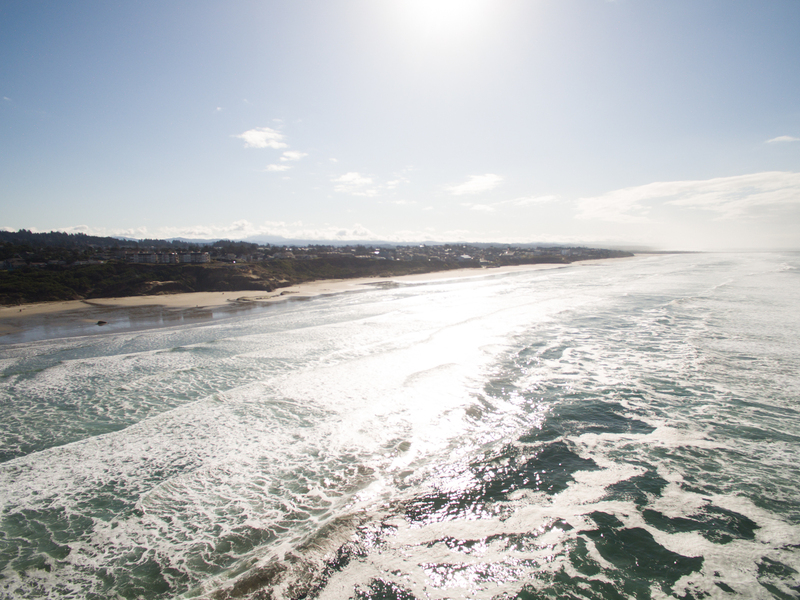 We can't wait to see you back again on the Oregon coast! Thank you again for your review." "Incredible ocean view even from the inside of the house and very cushy accommodation, especially the couch in the living room- one of the recliner types. It was great to have real fireplaces in the living room as well as the master bedroom. The jacuzzi tub there was also pretty wonderful- very deep two person-tub with a lot of adjustable features- had both the small bubbles holes as well as regular power jets. Only complaint was that the memory foam mattress on the master bedroom bed was too worn and gave me a back ache because the foam sunk too deep in the middle with no support. I moved into the second bedroom bed the rest of the nights and that one was perfect. Guess it hadn't been used as much. 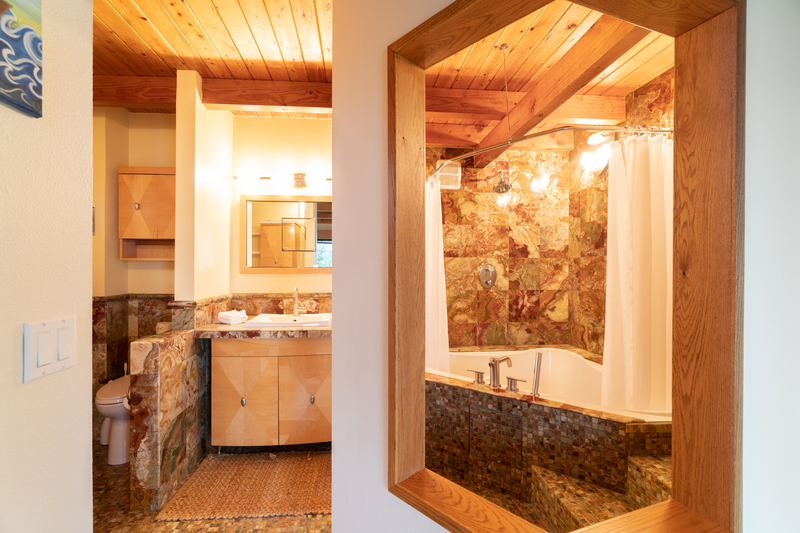 Also, it would help to have instructions for how to operate things like the overhead lights upstairs (weird switches) and the jacuzzi tub features. But overall, it is a perfect beach vacation retreat and I would go back in an instant!" "Hello Debra, Thank you for your review. 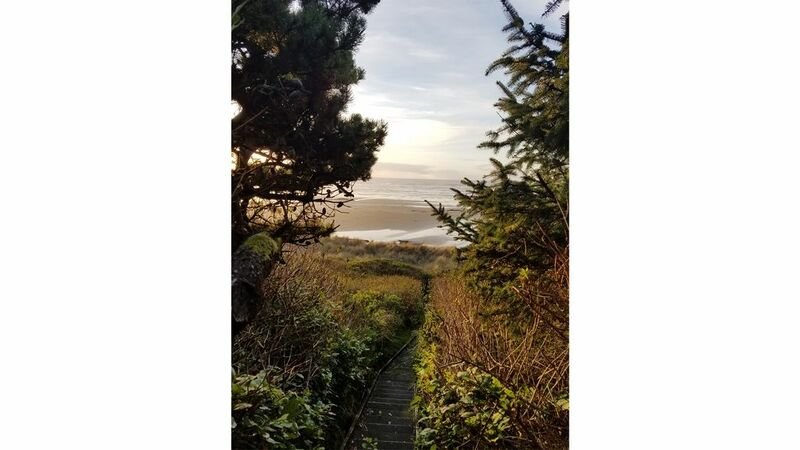 We are so glad to hear that you enjoyed your stay at The Mariner on Nye Beach! We hope this means that we'll be seeing you again soon on the Oregon coast for another wonderful getaway! Thank you again for your review." "Wonderful little house overlooking the beach. It was quiet and private and felt special. Clean with lots of amenities. Only quip: Need to trim the vegetation along the stairs going down to the beach as we got snagged by some small thorns." "Hello Nathan, Thank you for your review. We are glad to see that you had a great stay at The Mariner on Nye Beach. We have trimmed the walk way to the beach. Thank you for bringing this issue to our attention. We hope to have you stay with us again in the near future!" "Hello Gilbert, Thank you for your review. We are glad to see that you enjoyed your stay at The Mariner on Nye Beach. We are glad that you felt like you had the beach all to yourself on your stay. We hope to have you come back and stay with us again soon! Thank you again for your review. " "Hello Mark, Thank you for your review. We are so glad to see that you enjoyed your stay at The Mariner on Nye Beach with your wife and dogs! We are sorry to hear that the fireplace was not working for you during your stay. We have issued a work order for this to be fixed, so thank you for bringing it to our attention. 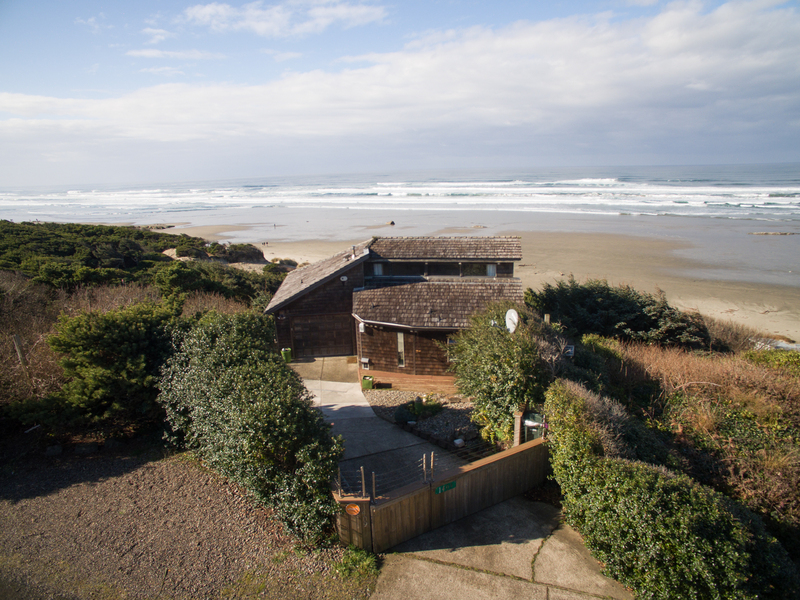 We hope to see you back again soon on the Oregon coast, and thank you again for your review." "A perfect home on the beach. The views were fantastic, whether you are looking at the sunset over the ocean or up the beach tp the lighthouse. The house was perfect for the four of us. Comfortable furniture and beds, real bedrooms, easy to use electronics and tv, fully equiped kitchen which is really important for us cooks. And they had the special touches for the pooch too. This was really like how we would have our own beach house. We rent ever year a different place, but I think we will just be staying here in the future. Thanks for the perfect retreat!" "This house is perfect for a small group. Very comfortable, amazing location, and excellent views. We really enjoyed our stay. Only tiny complaints-blinds in smaller bedroom were broken, and master bath is strange. I really prefer a door in a bathroom. Otherwise it's perfect. We plan to come back!" "Hello Susan, Thank you for your review. We are glad to hear that you enjoyed your stay at The Mariner on Nye Beach. lt seems the blinds arrived the day before your arrival, so they could not be installed in time. They will be replaced soon. We look forward to having you stay with us again in the future!" "Clean, modern, convenient. Beautiful views. We will return!!" "Hello Jerolyn, Thank you again for your review. We are glad to see that you had a wonderful trip to The Mariner on Nye Beach! We can't wait to see you back again soon!" "Oceanfront with amazing view. Clean and comfortable. Minimal and modern furnishings. Private beach access down a set of stairs. Highly recommend this property and plan to return for a longer stay. " "Hello Stacey, Thank you for your review. 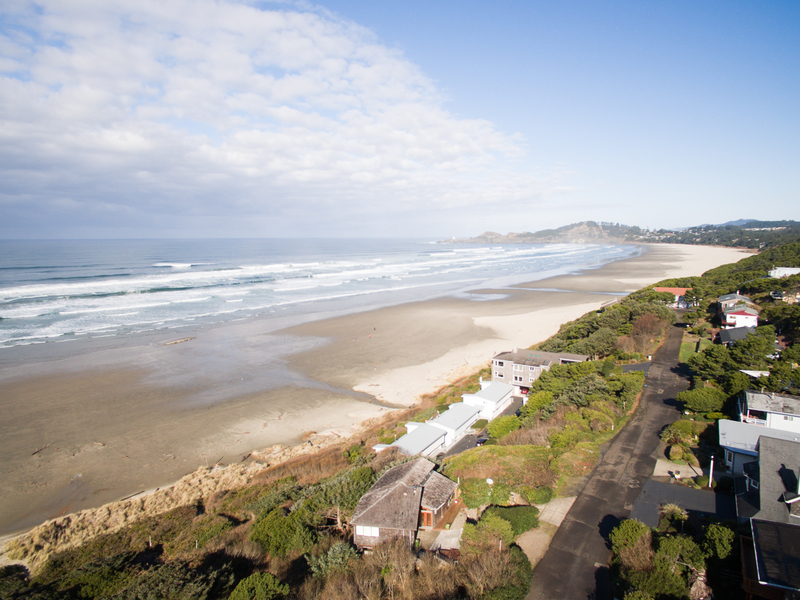 We are so happy to hear that you enjoyed your stay at The Mariner on Nye Beach! 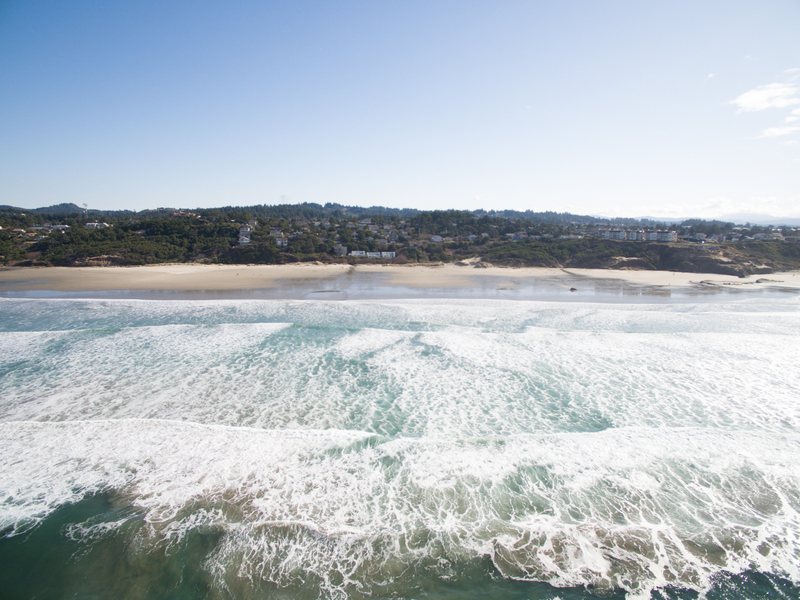 We can't wait to host you again soon on the Oregon coast!" "Perfect for couples. So quiet and private, and the views! 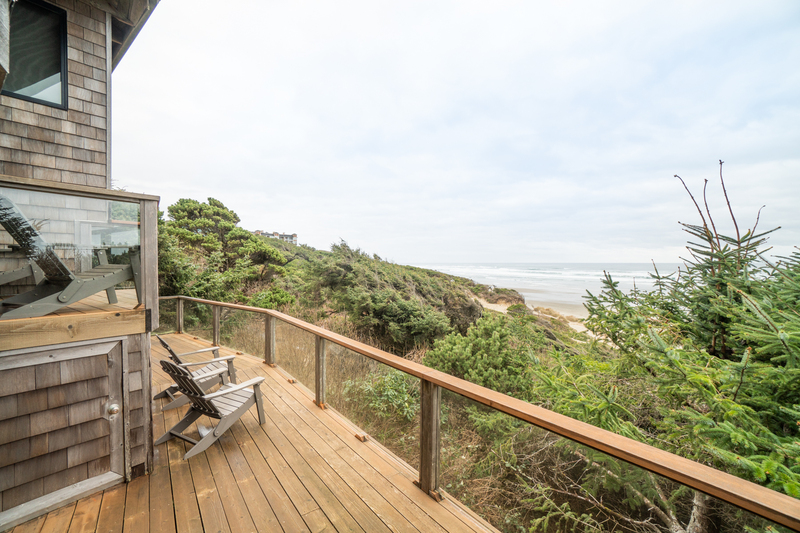 Panoramic view of Nye beach from every room, and the deck. Warm and modern interior. The deep jet tub and gas fireplace in the master bedroom made for perfect me-time. The stairway access to the beach was super convenient for daily walks with the pups. So grateful to the owners for offering this place as a pet-friendly vacation spot. We wouldnt leave home without them and they enjoyed as much or more than we did. " "Hello Vonnie, We are so happy to hear that you and your furry kids enjoyed your getaway!!! Come back soon!! " "Lovely place and views! Convient Location ." "I am glad you enjoyed your stay and thank you for taking the time to leave us a review! We hope to see you again in the future!" "Hello Amy, Thank you for your review. We are glad to hear that you loved your stay at The Mariner on Nye Beach. As for the housekeeping suggestions, we don't provide the home with the pillows or cleaning supplies that are available in the home, but we can certainly pass this information on to the owners for you. 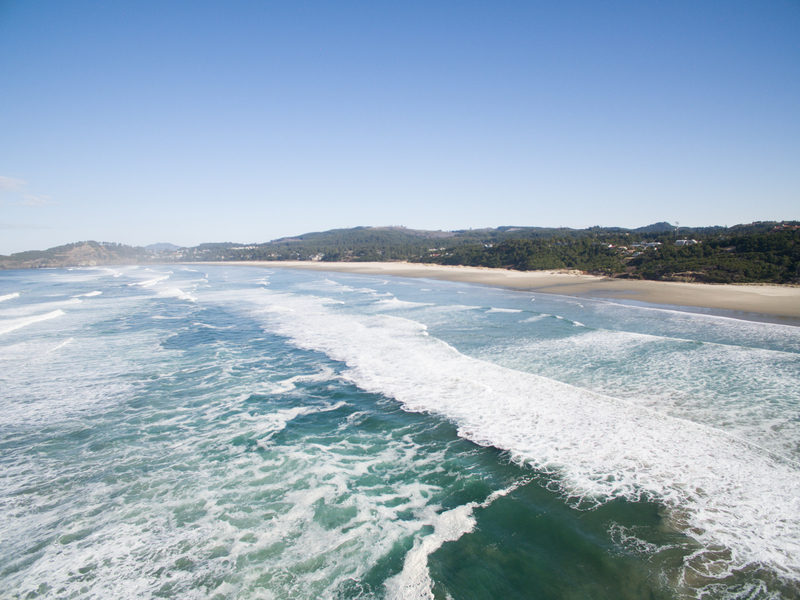 We hope to see you back again soon on the Oregon coast! Thank you again for your review." "We loved this place! Close to the beach but away from people. If you are looking for privacy and security then this is the place for you. The stairway to the beach is locked, access is gated so our pup could run outside and we didn't have to worry about him getting away. The layout is great, views were fantastic. We will definitely be coming back." "Hello Barry, Thank you for your review. We are so pleased to hear that you had a fantastic stay at The Mariner on Nye Beach. It sounds like this home was perfect for all of your needs. We are looking forward to seeing you back again soon on the Oregon coast!" "What an amazing home in a perfect location! The house was clean, well stocked with kitchen stuff. The balcony was perfect for relaxing while watching sunset, drinking coffee. My family can't wait to come back." "Hello Deriane, Thank you for your review. 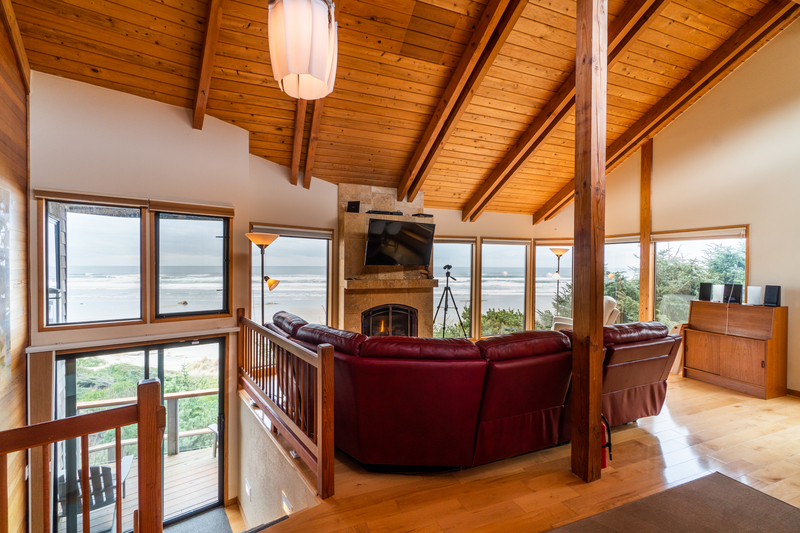 We are so glad to hear that you and your family had a great stay at The Mariner on Nye Beach! 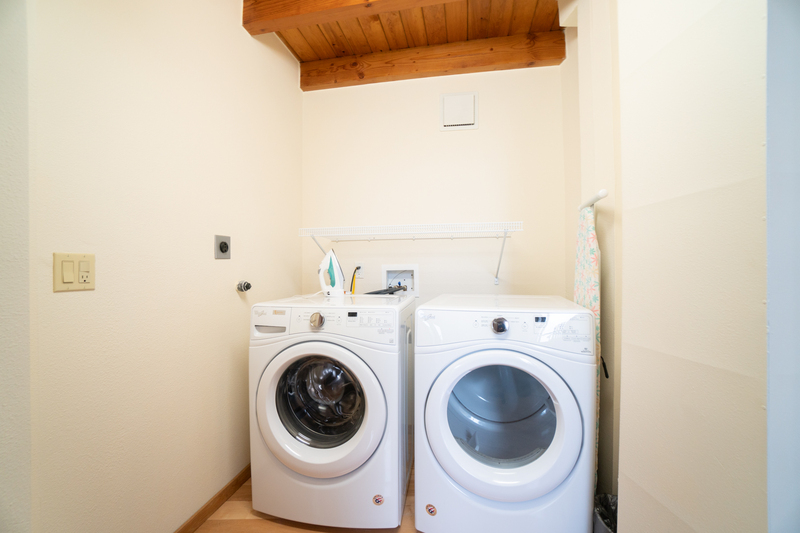 We are glad to know that the home was clean and well stocked for your stay! We are looking forward to having you stay with us again soon!" "very nice house. location really great, and the house was perfect. " "Beautiful home exceeded my expectation for its views. Great location. " "Hello Monica, Thank you for your review. We are glad to see that you had a great stay at The Mariner on Nye Beach. We are happy to know that this unit exceeded your expectations! 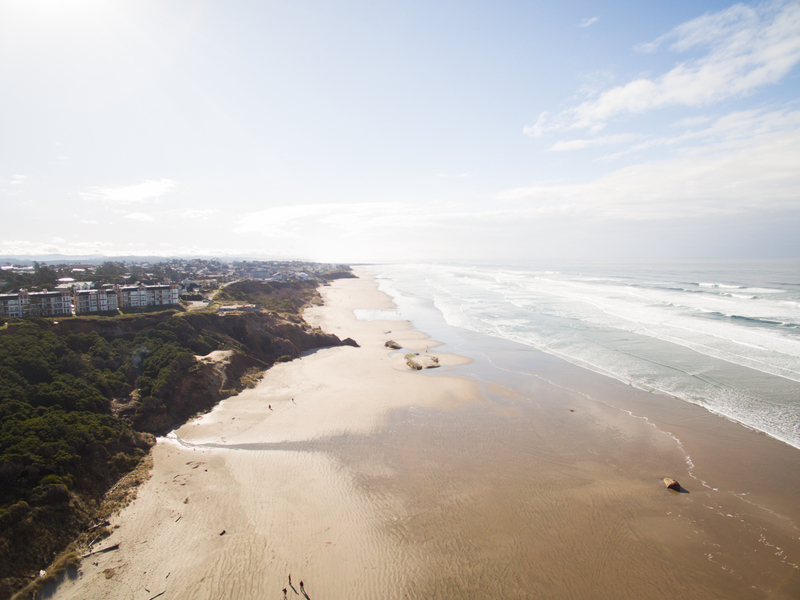 We hope this means that you'll be back again soon on the Oregon coast." "Loved the house. Clean and spectacular views!!! Kitchen was under-supplied. Glad I brought utensils and baking dishes,pots and pans. Coffee filters should DEFINITELY be provided. Other than that? Just fine!" "Hello Jill, Thank you for your review. We are glad to hear that you enjoyed your stay at The Mariner on Nye Beach. We are sorry to hear that the kitchen was under-supplied. We will have our staff look into this and buy the items needed. As for the coffee filters, we do not provide these for any of our homes, just as we do not provide condiments, saran wrap, tin foil, etc. We are sorry for the inconvenience. We hope to have you stay with us again in the future. Thank you again for your review." "Beautiful location. Intimate to beach but great separation from neighbors. 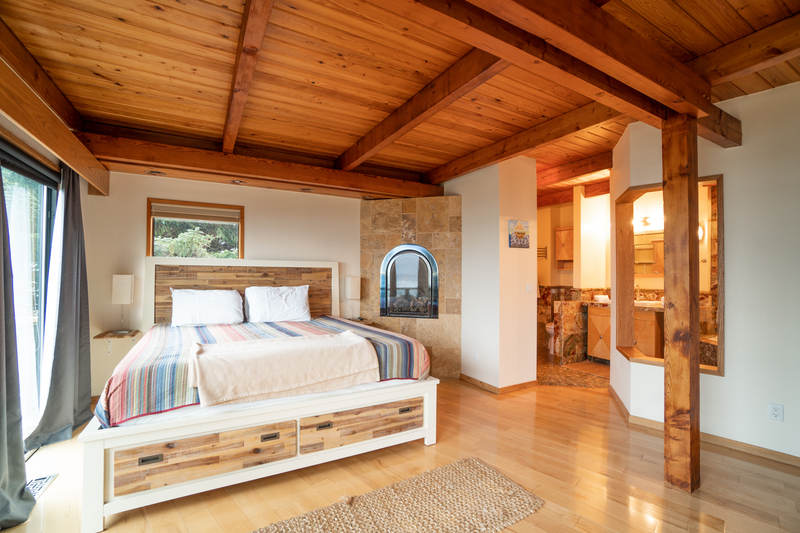 Beautiful house with great beds and wonderful accommodations. Steep driveway to house may be an issue for elderly. Well appointed and quite luxurious. Fantastic west view. Only negative was dog friendly with dog hair. ?" "Hello Forrest, Thank you for your review. We are glad to see that you enjoyed your stay at The Mariner on Nye Beach. Unfortunately, when homes are pet friendly they usually come with some leftover pet hair. Of course, we would have happily sent out housekeeping to do another run down of the house to try and get rid of more pet hair had it been abundant. Please keep this in mind for any future stays you may have with us. We always want to help however we can! 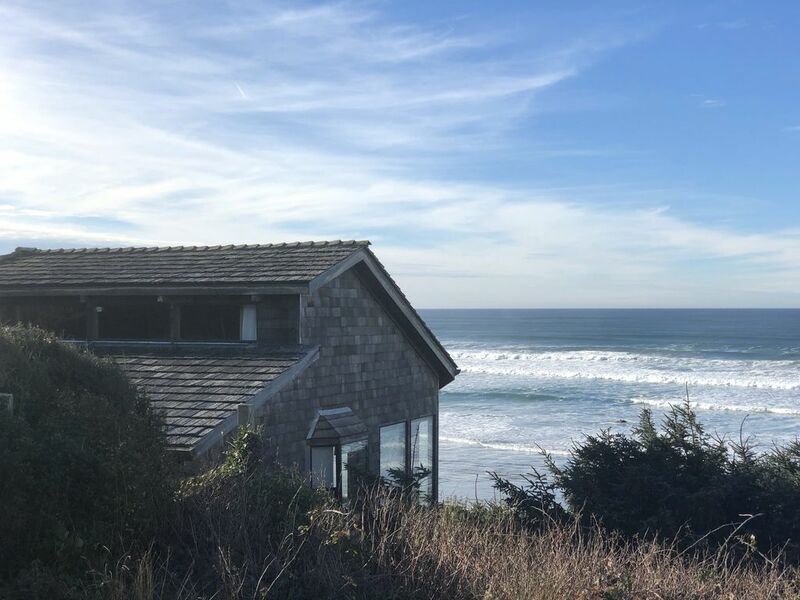 Thank you again for your review, and we hope to see you back again soon on the Oregon coast." "Overall a real nice stay. We have rented 2 beach houses in the past. This was first time using a property management. They were very friendly and helpful. We needed to call them first day since half the lights didn't work in house. They came next day to reset breaker in garage since that is locked and no access for guests. Pro's: Beautiful view, large house, king beds, high end furniture, nice decks, private beach access, the ceiling fans to die for. We are getting one of those fans now. Cons: Several window blinds broken, both sliding doors can't close them, gate at entry to driveway impossible to close all the way. Too heavy and poorly designed to get it to roll up hill to latch in place. Cleanliness of dog hair and food spills under couch lacking, cob webs on ceiling over master bed a turn off. Beach access dangerous as stairway very overgrown to where you can't see where your stepping. Wife actually twisted her ankle by missing 2 steps due to jungle overgrowth. It was still a nice place to stay. Property management repair guy was super friendly." "Hello Geoff, Thank you for your review. 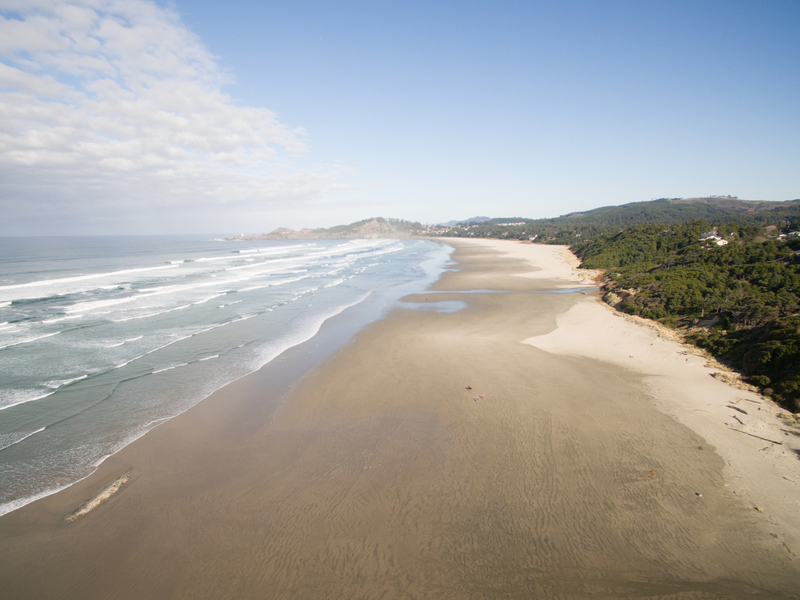 We are glad to hear that you enjoyed your overall stay at The Mariner on Nye Beach. We are sorry to hear that you encountered some issues during your stay. We would have loved to send housekeeping out to fix the cleanliness issues you bring up. We are glad to hear that the maintenance man was helpful and friendly. As for the gate that was not able to close, this gate is supposed to remain closed as per a sign, and the owners will be adding a lock to prevent it from being opened in the future as it is meant to keep dogs fenced in on the property. Thank you again for your review, and we hope to have you stay with us again in the near future." Perfect home on the beach! 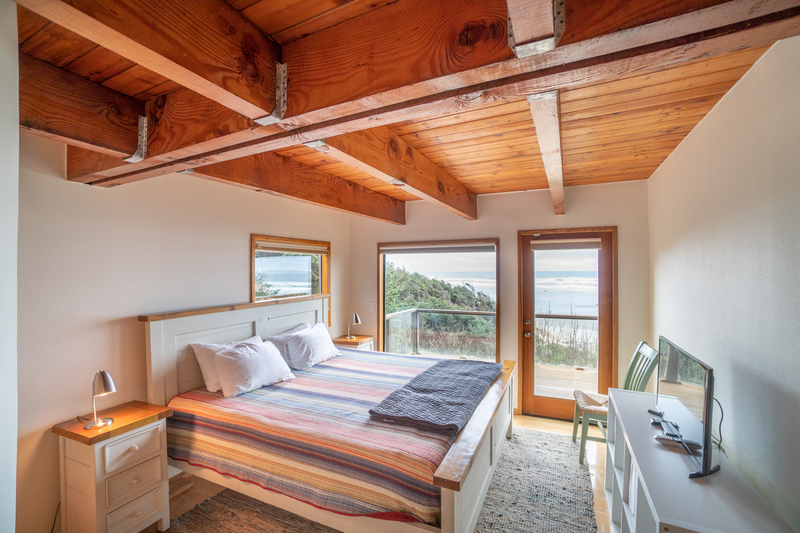 "Perfect location, great home - both bedrooms have a view of the ocean and access to the deck. Only drawback was parking as you cannot park in the actual driveway - it tells you there is room outside the gate to park in the driveway but you would have to own a mini cooper for that to be possible. The home feels very private including your own private walk to the beach. We walked every morning along the beach to breakfast at Nye Beach (we loved Stefanies Cafe). This was a great, relaxing vacation, the home is great." "This is our second stay at the property. Though still a great house and unbeatable location, the overall condition and cleanliness was not as we found it last year. Hopefully our suggestions will help get this beautiful home back to five stars." "Hello Amy, Thank you for your review. We are glad to hear that you enjoyed another visit at The Mariner on Nye Beach. We are sorry to hear that you did not find the home to be in as great condition as last year. We believe that this home was added to our website last year, so when you rented it the first time, it had likely not been rented out much yet. We can send your review on to our housekeeping staff and ask them to check out the home for what needs to be repaired. We would have gladly sent another housekeeper out to the unit as well to help remedy the cleaning the job. Thank you again for your review, and we hope to have you stay with us again soon." "Hello Bobbi, Thank you for your review. We are glad to see that you enjoyed your overall stay at The Mariner on Nye Beach. We are sorry to hear that the HDMI cord was broken during your stay. It has since been fixed, so thank you for bringing it to our attention. We are also sorry that nobody returned your call to help fix that for you. We hope this didn't take away from your overall stay too much. 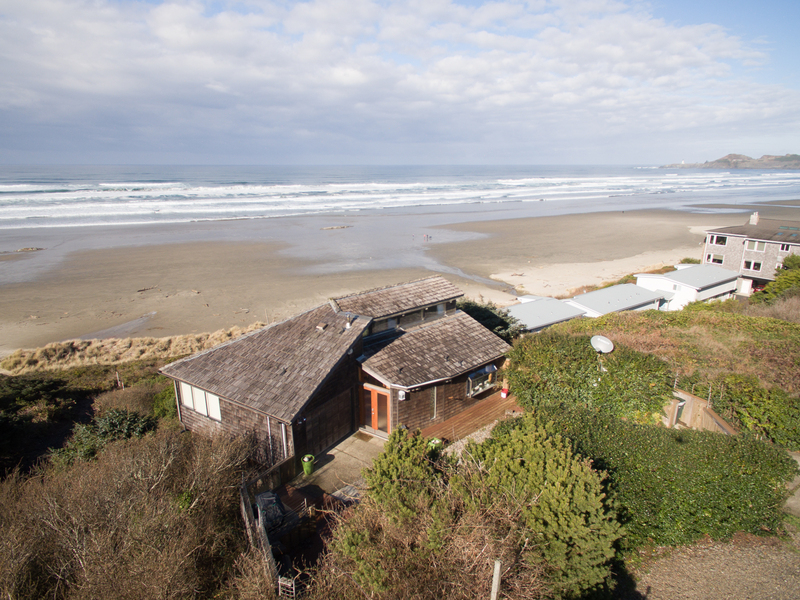 We hope to see you back again soon on the Oregon coast, and thank you again for your review."